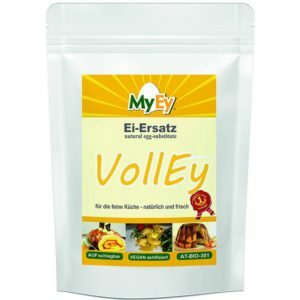 More and more restaurant guests want to be regaled with healthy but tasty egg dishes on pure vegetable base. Vegan cuisine now finds its way also into the catering sector. Enthuse your customers with eggs dishes on pure vegetable base. The vegan egg substitute MyEy products allow this in a simple and cost-effective way! Strong in taste and color. dessert creams, mayonnaise, sauces and more. 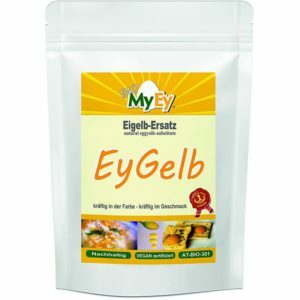 Just replace animal egg in your food by suitable vegan alternative products. 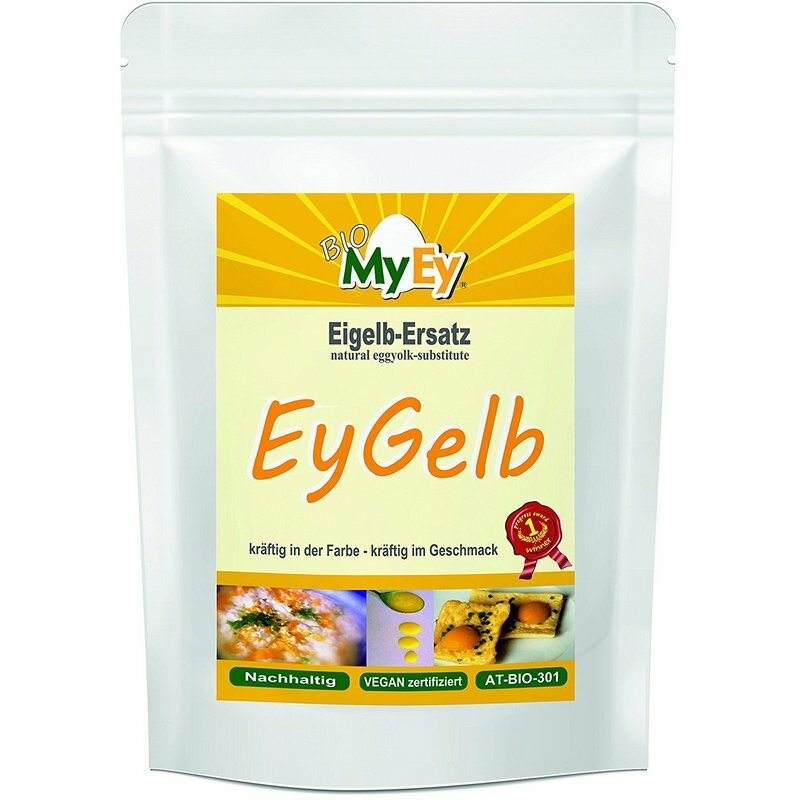 Whether baking or cooking, MyEy products can be targeted without losing taste, appearance or texture of your dish. 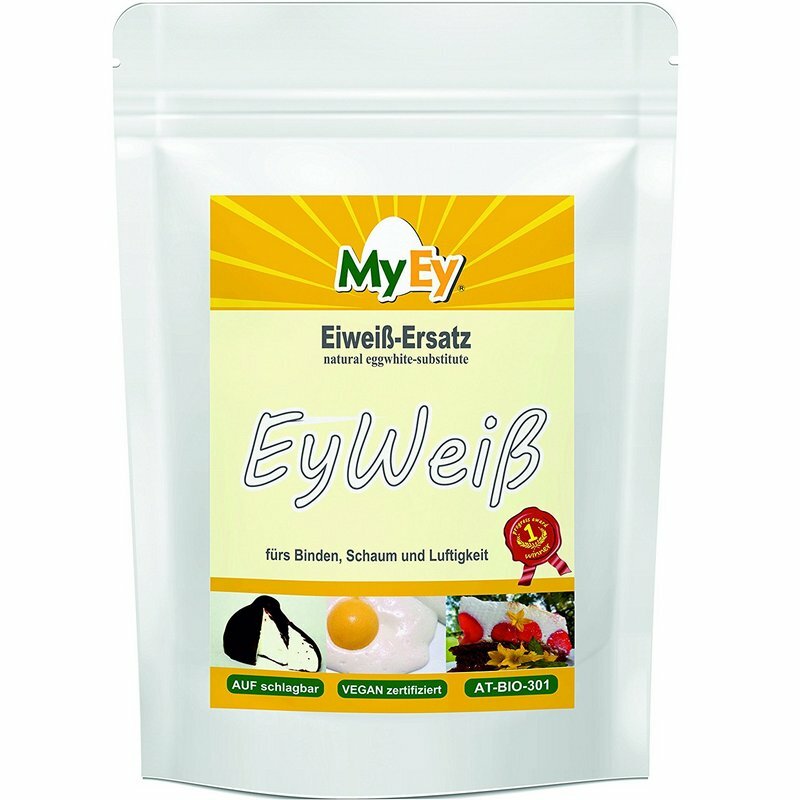 The practical 1 kg bag of the vegan egg alternative is particularly suitable for further processing in the catering sector and additionally has advantages concerning the food-hygienic point of view. In future using MyEy vegan products you can completely banish eggs of animal origin, which are classified as risk food for salmonella infections. Stop worrying about food scandals like dioxin in eggs or salmonella infection! Especially for bakeries, pastry shops, canteens and caterers in nursing homes and kindergartens the microbiological stability of herbal products is a major advantage. Vegan substitute products do not require refrigeration and thus you can additionally save energy costs and increase your profit margin! Take advantage of the numerous benefits of the pure vegetable egg alternative and with vegan tasty dishes breathe new life in your kitchen! In future the declaration of allergenic ingredients, which since recently is also required by the LMIV (food safety law) for loose items, will be facilitate by using the vegan finished/ ready-to-use product.Vegan substitute products do not require refrigeration and thus you can additionally save energy costs and increase your profit margin! Take advantage of the numerous benefits of the pure vegetable egg alternative and with vegan tasty dishes breathe new life in your kitchen! In future the declaration of allergenic ingredients, which since recently is also required by the LMIV (food safety law) for loose items, will be facilitate by using the vegan finished/ ready-to-use product.